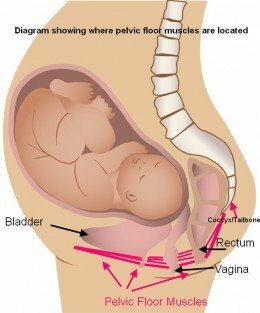 During pregnancy, the weight of the baby is fully deposited on the pelvic floor. For 9 consecutive months, the pelvic floor muscle is continuously absorbing and supporting the increasing weight of the growing baby. Pregnancy is extremely strenuous on the pelvic floor, and is also the main reason behind the start of many women experiencing mild incontinence as well as decreased quality of their sexual experience, from as early as during pregnancy to later in life. Without deliberate pelvic training, the pelvic floor muscle is unable to return to be the same as it was before pregnancy.